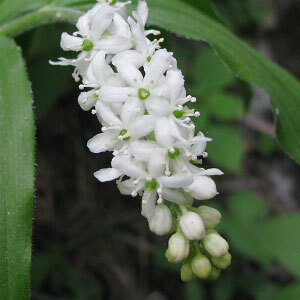 Hemkund Sahib opening soon in 2013 - Valley of flowers. Hemkund Sahib will open on 21st September, 2013. Just returned back from Govindghat and a good news that Hemkund Sahib Gurudwara will officially open on 21st September, 2013 and will close on 10th October, 2013. I went to Govindghat in second week of September and just returned few days back. The bridge over Alaknanda at Govindghat is already construed and ponies are crossing it comfortably. Newly constructed Bridge at Govindghat. 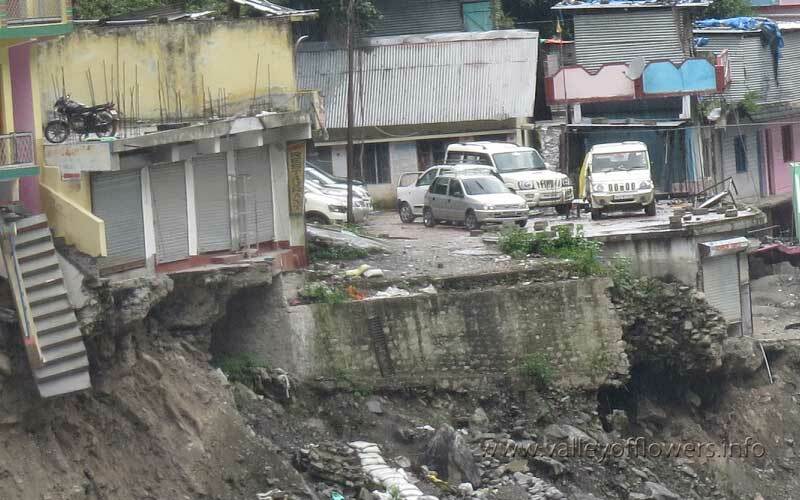 At Govindghat the scene was full of destruction the river bed which increased at the time of flood also went to its normal height and now the river is flowing like a small stream. The construction work of trek was in full swing. 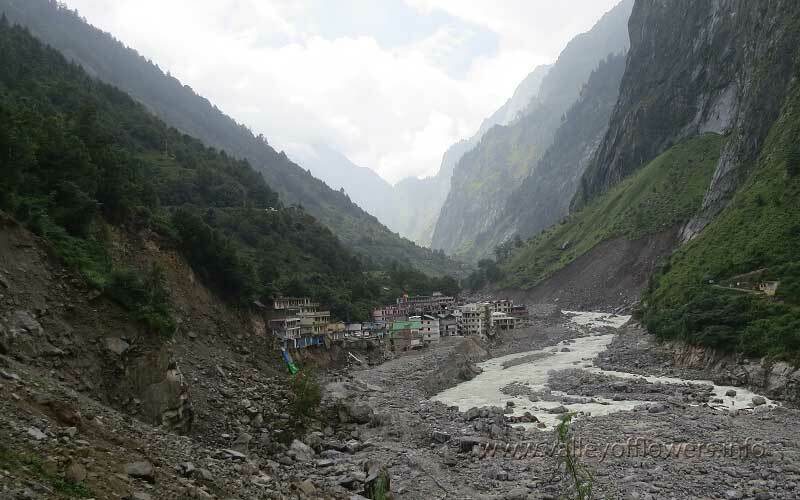 Now the trek between Govindghat and Ghangaria is constructed since there was no damage to the trek between Ghangaria and Hemkund Sahib the trek between Govindghat and Hemkund Sahib is open now. View of Govindghat in September 2013. The river shrunk to its original size. Construction work of trek going on at Govindghat. 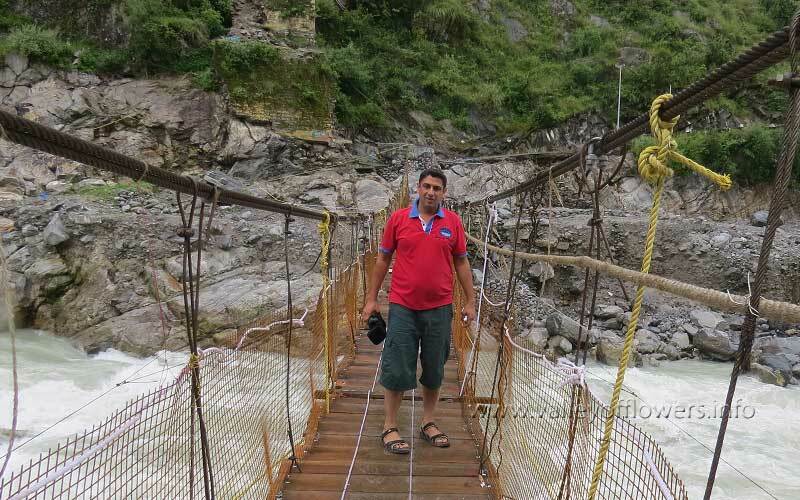 This trek joins motorable road to river bed and you need to trek through river to have an access to the bridge over Alaknanda. There were some vehicles which were parked at Govindghat but fortunately they didn’t washed off in the flood. There is no hope of getting constructed a road to these vehicles. So people are coming getting their vehicles disassembled into parts and taking those parts to the motorable road and getting them assembled again to save their vehicle. Stranded vehicles at Govindghat parking. These vehicles are being disassembled and taken to the road. They are assembled again. 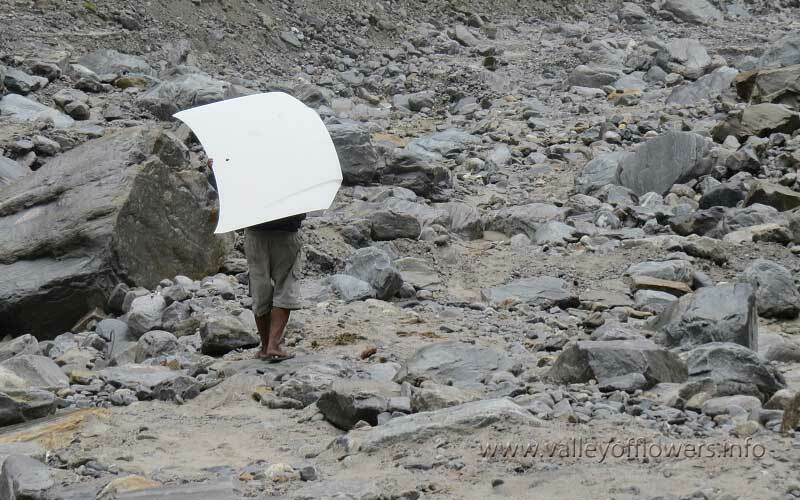 A porter carrying part of a car to the motorable road, where it will be assembled with other parts. While coming back from Govindghat we stopped at Vishnuprayag where Dhauliganga River meets Alaknanda River. I was with my wife and Mr. Raghuvir Chauhan, fortunately Mr. Raghuvir Chauchan saw some beautiful Deer on the Hathi Parvat. 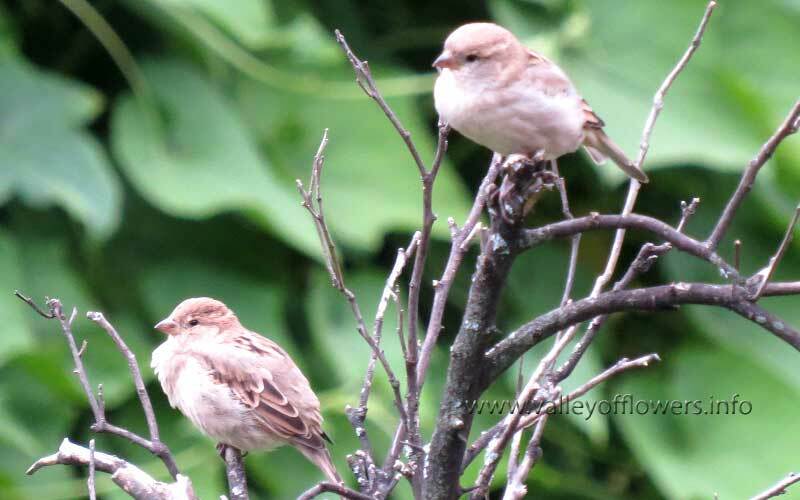 We were really festinated and saw them for a while. 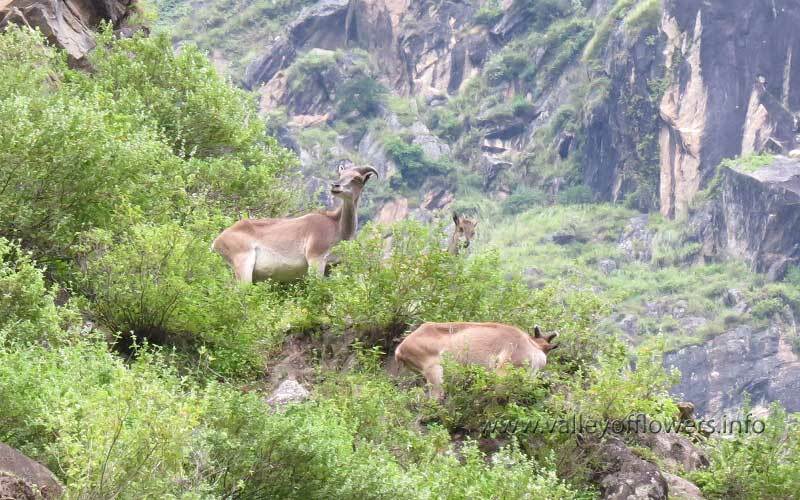 Deer near Vishnuprayag at Hathi Parvat. 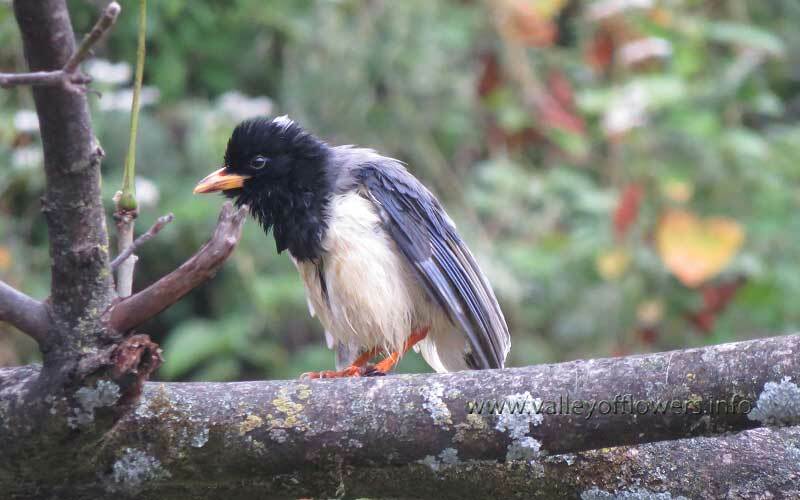 We also saw some beautiful birds also on our trip. So finally a good news has come that the trek from Govindghat to Ghangaria is OK and soon the bridge over Pushpawati River near Ghangaria will also be built and we can have access to Valley of Flowers. But it sure that this year we will not be able to enter the Valley of Flowers. 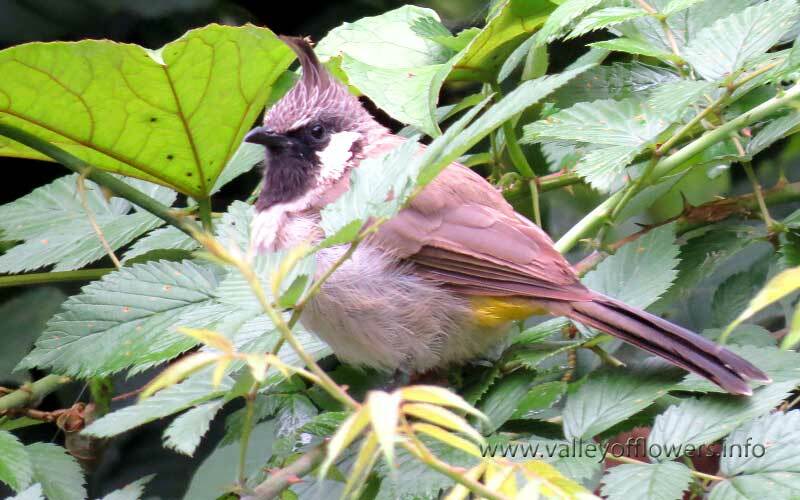 It is also true that next year we will definitely go to Valley of Flowers. I will go to Hemkund Sahib in first week of October if anyone is interested to come along with me can contact me. ‹ Way to Ghangaria from Govindghat made. Can I i visit Valley of Flowers this year november i.e around 7th novermber 2013 ? No Rahul ji, Valley of Flowers is closed for this season. You can visit from 1st June next year. Hi Devkant Ji, Thank you for all these news, impressive videos and nice pictures. It is so nice to remind all good moments we spent in India this summer. Thanks. Its my pleasure to be with you to Hemkund Sahib. Hope you saw your pictures on our post on Trek to Chopta, Tungnath and Deoria Tal. 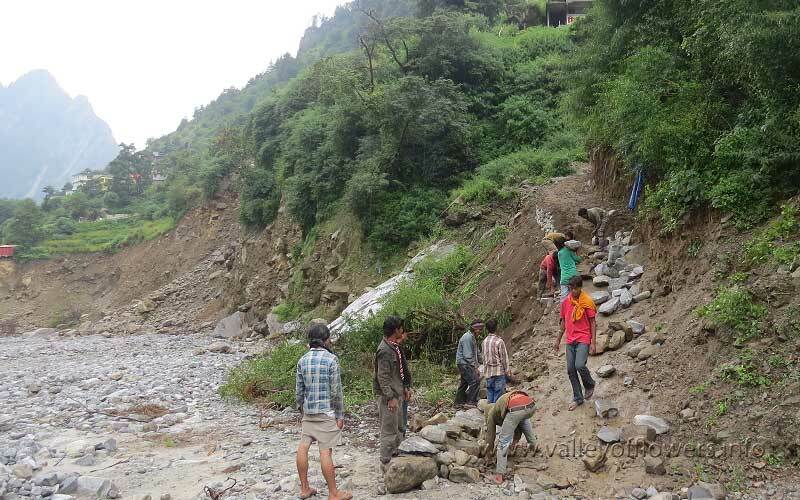 What a devastation.Trek path to valley is bad? Trek path is constructed up to Ghangaria. Once the bridge over Pushpawati River is constructed the Valley of Flowers will be accessible. Was Ghangaria also affected by the floods.. Did hotels get washed away there as well. No, Ghangaria did not get affected by floods. All the hotels are ok there. Ghangaria’s location is pretty safe. Its not inside or near to river bed. Govindghat was very near to Alaknanda river bed and in fact the car parking was right inside the river bed.